Recommendation: Simple presmise, well executed. 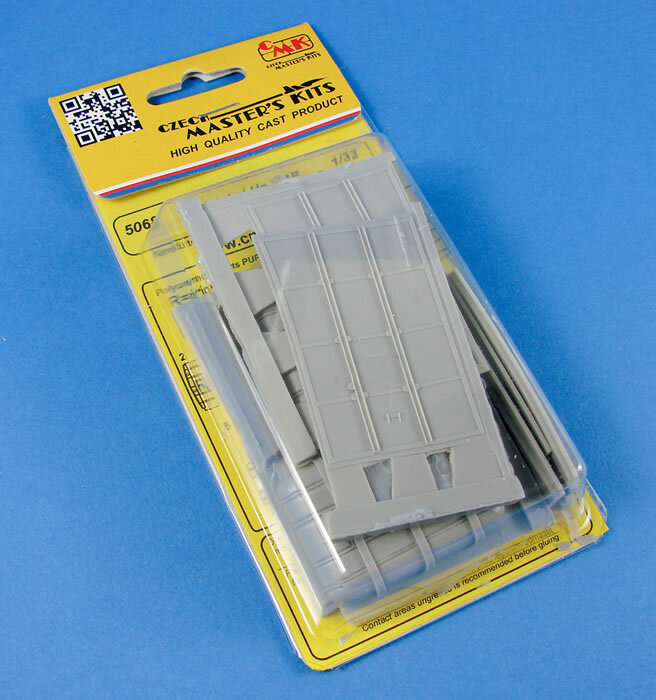 This set is packed into one of CMK’s larger blister packs due to the quantity of resin within. I actually couldn’t get it all to fit back in once I’d done the photography for this review. 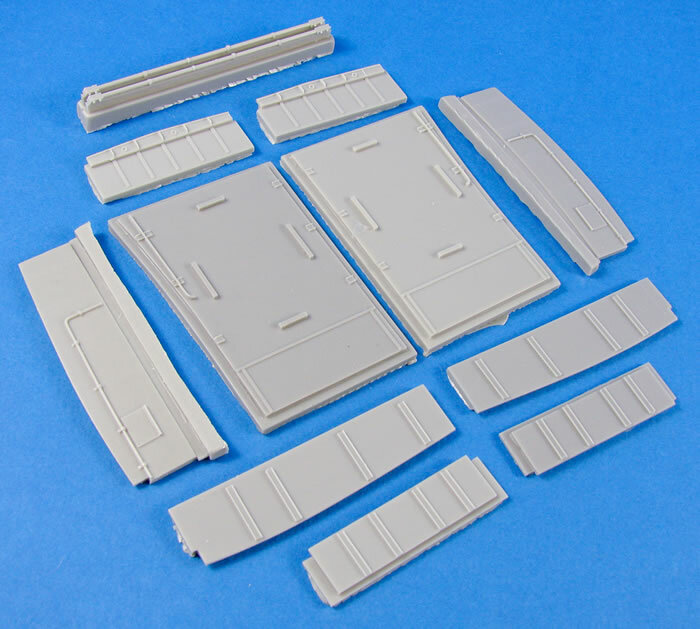 Designed to give the modeller an option to display the two inboard fuel tanks, this set requires some radical butchery of the main lower wing panels, so be prepared. 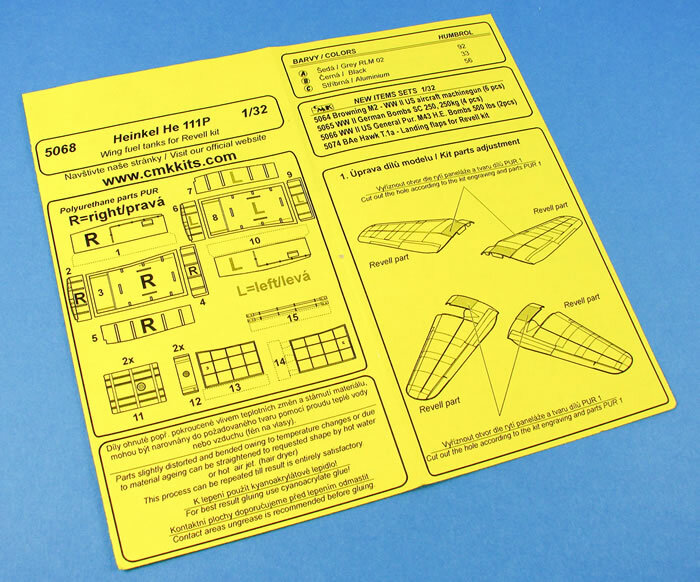 A significant proportion of the plastic will need to be removed between the main gear bay opening and the fuselage. 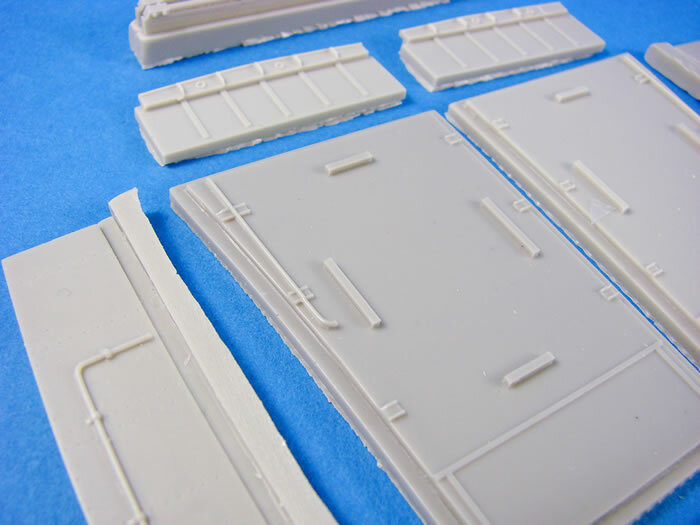 You are supplied with 18 pieces of light grey resin, all flawlessly cast, although one fuel bay wing skin panel will need the hot water treatment to correct its shape. The premise of this set is quite simple. Each bay needs to be constructed from a ceiling and four sidewall pieces. 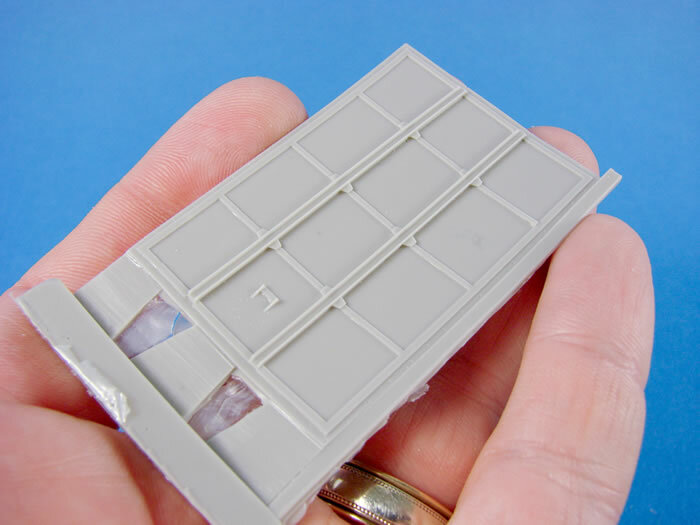 All of these are suitably detailed within, bearing in mind that they will be filled with the tanks (2 per bay). 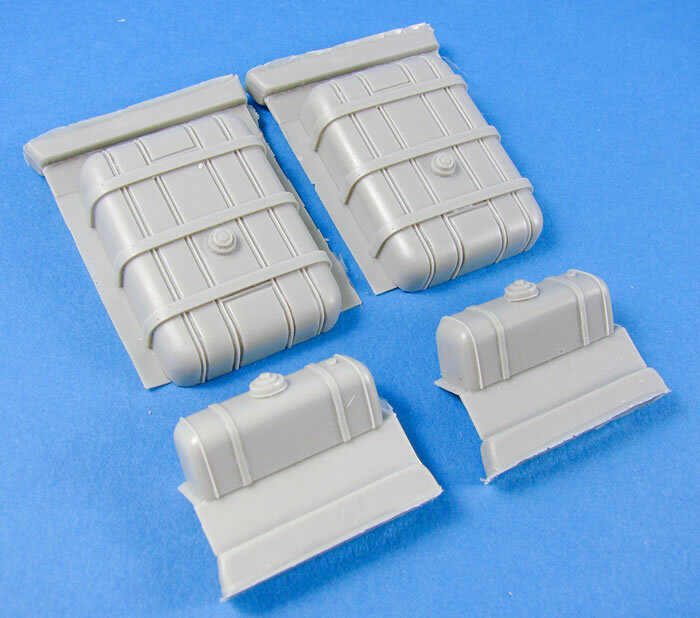 Those tanks are nicely detailed, with securing straps and fuel filler points, plus the ribbing that could be seen on the rubber skinning of the tanks. 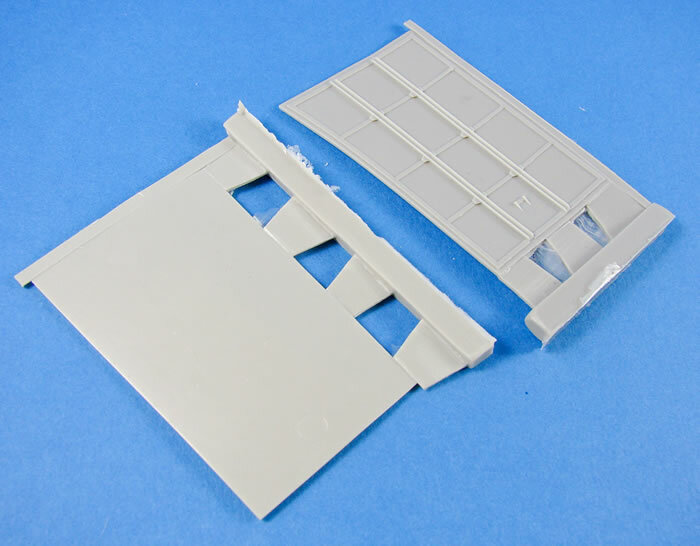 Externally, the main wing bay panel is devoid of detail, as per the kit, but internally has some constructional elements cast into it. 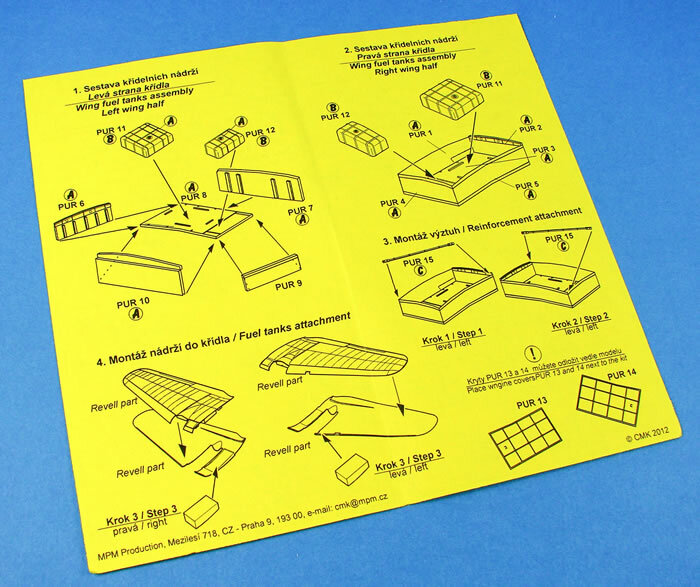 Instructions are clear enough with simple line drawings telling you all that you need to know. Details are provided for painting too, with codes given for Humbrol paints.